HONG KONG China's yuan has joined the ranks of the most traded currencies for the first time, underlining the growing might of the country's economy, the world's second-largest. 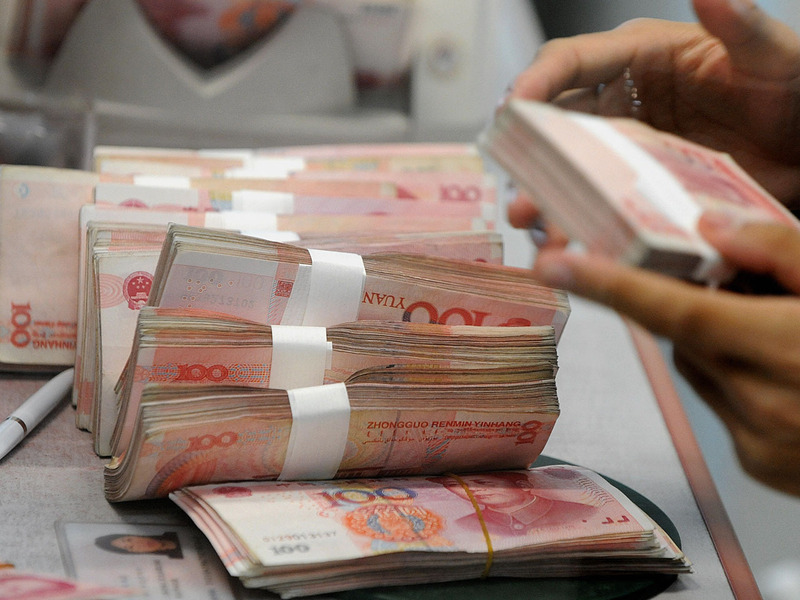 The yuan became one of the top 10 traded currencies in 2013, rising to No. 9 on the list due to a "significant expansion" in offshore trading, the Bank for International Settlements said in a report Thursday. It's a sharp jump from the bank's last survey in 2010, when the yuan, also known as the renminbi, was No. 17 on the list. Turnover in trades involving yuan surged to $120 billion a day on average in April 2013, three and half times more than the $34 billion in 2010. Still, that figure is dwarfed by the dollar, which accounted for about $4.7 trillion daily. The Bank for International Settlements, which is an international organization of central banks, said the yuan along with the Mexican peso, which rose to No. 8, "saw the most significant rise in market share among major emerging market currencies." China's leaders want the yuan to become an international currency and have been promoting its use as an alternative to the dollar. The yuan is not yet fully convertible but Beijing has been gradually loosening controls. It has started allowing companies to settle international transactions in yuan, signed currency swap deals with Pakistan, Thailand South Korea and others and has worked with financial centers such as London and Hong Kong to develop international hubs for offshore trading of the currency. Earlier this year, Australia and China agreed that their currencies could be directly exchangeable, making the Australian dollar the third major currency to have direct convertibility, after the U.S. dollar and Japanese yen. The deal eliminates the need to exchange Australian dollars for U.S. dollars in order to buy yuan and vice versa. In other findings, Singapore overtook Japan to become the biggest foreign currency trading center in Asia and the third largest in the world, behind Britain and the United States. The report also found that the euro's international role has shrunk since the onset of the sovereign debt crisis in the 17-nation eurozone, with its market share falling. In contrast, the yen's share of trading jumped. Research suggested most of the rise came ahead of aggressive measures by Japanese Prime Minister Shinzo Abe this year to revive Japan's economy that pushed down the currency's value. The bank surveyed 24 currencies in 53 jurisdictions for its report.